How did you celebrate National Hot Chocolate Day yesterday? 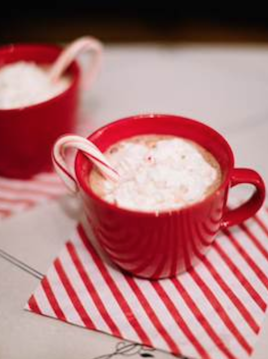 Do you have a certain place that you go for hot cocoa or do make it at home? Well if you make it home you might want to add some George Dickel Rye to it. Check out the recipe below. Directions: Add George Dickel Rye to a mug of hot chocolate and garnish with a peppermint stick. Print article This entry was posted by Art Eddy III on February 1, 2018 at 9:36 am, and is filed under Lifestyle. Follow any responses to this post through RSS 2.0. Both comments and pings are currently closed.